Hello Friends, Are you looking for SAIL Recruitment 2019? If yes, then Here is a nice opportunity for you. Steel Authority Of India is inviting applications for 275 Operator Technician Posts. Candidates can fill online application forms for SAIL OCT Vacancy from 29.01.2019. Participants should submit their online application forms before or on 18.02.2019. Applicants who have passed 10th class from any recognized university can apply for SAIL Bokaro Jobs 2019. For more details relevant to eligibility criteria, selection process, aspirants can read the given article carefully. What is the required Eligibility Criteria For SAIL Recruitment 2018 – SAIL MT Vacancies ? How Much Application Fees will paid for SAIL MTT Online form ? How I Fill Online Form for SAIL Recruitment 2018 – SAIL MT Bharti Through GATE 2018 ? Fresh Update as on 18.02.2019: Applicants who are interested in applying for SAIL OCT Jobs can fill application forms from the direct link given here. Candidate should not delay now. Its high time because registrations for SAIL Bokaro Recruitment are going to close today. Before applying participants can check selection process, eligibility criteria from here. Fresh Update as on 08.02.2019: Dear Participants, There is good news for you. SAIL Bhilai has organized Walk in Interview for 24 Super Specialist, Specialist, & GDMO Vacancies. Interested candidates must go for Walk-In-Interview on 13 February 2019. Reporting time is 10:00 A.M. Here we provided you venue details for SAIL Bhilai Recruitment 2019. For more details read SAIL Bhilai Notification from here. Pay Scale For SAIL Bokaro Jobs For OCT Rs. 16800/- 3% – Rs. 24110 P.M. & For ACT Rs.15830/- 3% – Rs.22150 P.M.
Firstly, candidates should log on to official website i.e. sail.co.in. Go to homepage & search for SAIL Notification 2019. Fill all the required details in SAIL OCT Jobs Online Form. Then upload your recent passport size image & signature to SAIL Application Form. Recheck all the entries mentioned in SAIL Recruitment Form. Then make payment of application fee online. Participants can also take print out of submitted form. Aspirants should note down their Registration ID & Password. Conclusion: Steel Authority Of India has issued notification for SAIL Recruitment 2019. 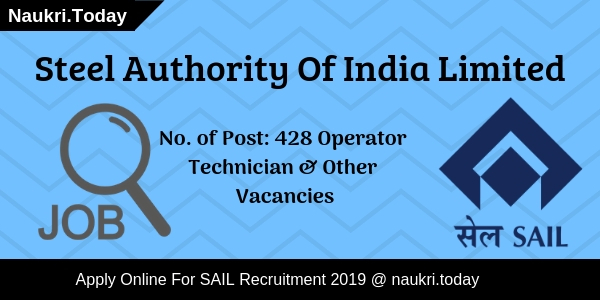 SAIL Notification is available for 275 Operator Technician Post. Candidates must submit online application forms before or on 18.02.2019. Dear Applicants, Do you want to apply for SAIL Recruitment 2019? Steel Authority Of India Limited has issued notification for 153 Operator Technician Posts. Here many vacancies are available such as Operator-Technician (Trainee), Jr. Medical Technologist & Other various posts. Interested & eligible candidates can fill online application forms for SAIL OCT Vacancy from 19.01.2019. Participants must submit registration form before 09.02.2019. Applicants who wish to apply for SAIL Bhilai Jobs 2019 must have age in between 18 to 28 years old. For further details, participants must read the given article carefully. Yes, Upper Age Relaxation scheme is applicable for Reserved Category candidates by the SAIL Bhilai Department. 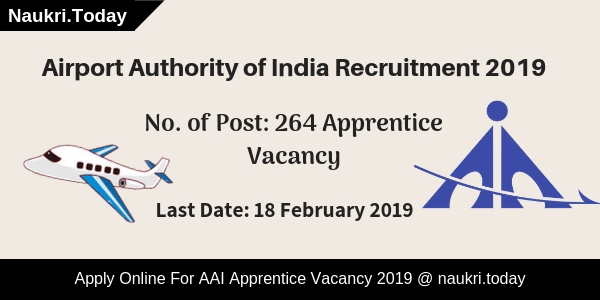 For more details, applicants must check SAIL Recruitment 2019 notification from the link given at the end of the article. The application fee for General, OBC candidates are mention in below table. For SC/ ST/ PWD applicants are exempted from the payment of application fee for SAIL Jobs 2019. Then go to the homepage & search for SAIL OCT Jobs Notification. Fill all the details required in SAIL Bhilai Vacancy Online Form. Then Upload your recent passport size image & signature in the application form. Recheck all entries filled by you in SAIL Recruitment Form. Conclusion: Steel Authority Of India Limited has published an advertisement for SAIL Recruitment. Here 153 seats are available for Operator Technician & Other Posts. Applicants must apply for SAIL OCT Vacancy 2019 before or on 09.02.2019. Are you searching SAIL Recruitment Notification 2018? If yes, then you visit the right place. Steel Authority of India has recently published the advertisement for recruitment of 156 Operator/Attendant Technician Vacancy. Applicants who want to apply for SAIL Technician Vacancy may fill online form either here or official site. Steel Authority of India Recruitment 2018 Online Form is available from 15th November 2018. The last date of submission application form is 14.12.2018. Furthermore, information about SAIL Vacancy such as eligibility criteria, application fees & others is mention on below segment. IISCO Plant Recruitment 2018 for 156 Operator/Attendant Technician Vacancy is now available on official site sailcareers.com. Participants those have interested and eligible can fill their application form on the official site. Here our team also mention SAIL Technician Recruitment 2018 direct link. So must check the full article to check How to Apply Online for SAIL Jobs 2018? & other remaining information. Applicants who wish to apply for SAIL Bharti 2018 must ensure that they are eligible or not. The eligibility criteria include details of education qualification, age limit, and other parameters. Applicants those want to apply for SAIL Recruitment 2018 fro Operator & Attendant Vacancy must fulfill given below eligibility conditions. Candidates must qualify 10+2 Examination with 03 years Diploma in relevant filled from a recognized Institute. Applicants must have 50% marks in the Diploma course. Furthermore, information checks out SAIL Vacancy 2018 official advertisement. Candidates who are complete or less than 28 years as on 14.12.2018 are eligible to apply online for SAIL Recruitment 2018. Relaxation in upper as limit also applicable as per govt. norms and mention will be asunder. Those applicants want to fill their SAIL Recruitment Online Form successfully must pay application fees. Otherwise, their application form will not be accepted. The details of application fees are mention under section. During the training period, applicants will receive a stipend. The training period will be 02 years for both vacancies. Check given below section, to know training period payment. Applied candidates will appear on the written examination, Skill Test/Trade Test. The Skill Test/Trade Test will be qualifying in nature. Final merit list will prepare on the basis o marks secured in written examination and qualified the skill test. Furthermore, details check SAIL Recruitment official notification. Interested and eligible candidates may apply for SAIL OCT Recruitment 2018 through online mode. Candidates must have valid email id and mobile no. if they are going to fill up the online application form. Before applying for SAIL Technician Jobs applicants also have the scan copy of signature and passport size photograph. To Apply Online for SAIL Vacancy 2018 applicants should follow some given below instructions. Click on the link apply online for SAIL Bharti 2018. Enter the details like personal and education on your application form. Upload signature and photograph on SAIl Recruitment Online Form 2018. Make payment of application fees of SAIL Jobs 2018. Now recheck your application form properly. Conclusion: IISCO Steel Plant Buranpur is inviting candidates for filling up 156 Operator/Attendant Technician vacancy. Applicants those are interested in SAIL Recruitment 2018 may apply through online mode from here. The SAIL Technician Vacancy online application form is available till on 14.12.2018. Dear applicants, Steel Authority of India Limited has now released SAIL Notification of filling 382 Management Trainee Vacancies Through GATE 2018. Applicants who are going to appear in GATE Exam 2018 & Interested in MT Jobs can fill online form for SAIL Recruitment 2018. You can submit online form for SAIL Vacancies 2018 on or before the closing Date, that is 21.02.2018. rest of the details about Steel Authority of India MT Jobs Through GATE 2018 is mention below. SAIL is inviting online form for appointing Candidates on Steel Authority of India Limited MT Vacancies. Online registration for SAIL MT Recruitment has been started from 01.02.2018. Applicants must read all required eligibility Criteria before filling SAIL Jobs 2018 online form. Further information like Education, age, Pay Scale & selection Criteria for Steel Authority of India Vacancies you can collect from below article. In this section we are providing Division of SAIL Vacancies 2018 Trade wise. Applicants can get more information for SAIL MT Jobs Through GATE from official Notification. Those candidates who are going to fill online form for SAIL MT Recruitment can check post wise required Education & Age Criteria from here. In the below section we are providing Post wise required Eligibility Criteria For Steel Authority Vacancies. You can also check these details from official notification. Candidates must have done bachelor’s Degree in respective engineering trade from any recognized University. Candidates must have done their Graduation degree with minimum 65% Marks for SAIL Recruitment 2018. Upper age of the candidates for Steel Authority of India Limited Vacancies must be 28 years as on 01.02.2018. Age Relaxation for SAIL Recruitment 2018 is applicable only for reserved category candidates as per department rules & regulation. Selected candidates will paid pay band Rs. 24900/- to 50,500/- per month for SAIL Vacancies. after Joining,. candidates will paid Rs. 20,600./- per month for Steel Authority of India Vacancies. General & OBC Category candidates needs to pay Rs. 500/- as application fees for SAIL Recruitment 2018. Other category appliers like SC/ST/PWD must paid Rs. 100/- as application fees for Steel Authority of India MT Jobs 2018. Selection of the candidates for SAIL Vacancies 2018 will made on the basis of Qualification, GATE 2018 Score Card & GD. Final Merit List declared on the basis of Marks. For more details about Selection Criteria From Steel Authority of India Limited Jobs Notification. Candidates who are eligible for SAIL Jobs 2018 can fill online form here till the last date. Read the below steps which is helpful for filling online form for Steel Authority of India Vacancies 2018. Candidates first of all log on to the official website www.sail.co.in. Now go to career Section & Click on SAIL MT Jobs Notification. Conclusion : – SAIL Recruitment 2018 For 382 Management Trainee Jobs. Candidates can fill online form for SAIL MT Recruitment on or before the last date 21.02.2018. Check more information by reading the above article. Are you looking for SAIL Recruitment 2017, here is a good news for you. Bhilai Steel Plant has released advertisement of 96 Operator/ Attendant Technician & other Vacancy. Candidates can apply online application form for SAIL Bhilai Vacancy 2017 through online mode. You can filling online form for Bhilai Steel Plant Recruitment 2017 on or before the last date 16.03.2017. Steel Authority of India (SAIL) is inviting online application for those candidates who are looking for Bhilai Steel Plant Jobs 2017. Submission of online application has been started from 17.02.2017. Those candidates who are waiting for SAIL Vacancy 2017 have a chance to fill online form. For more information like Age Limit, education qualification etc. you can check from given below details. Attendant (Heavy Vehicle/ Fire engine Driver) : Candidates should have done Matriculation with having Heavy Vehicle Driving License for SAIL Bhilai Attendant Vacancy 2017. Candidates should have 01 years of driving Any heavy Vehicle for this vacancy. For Attendant (Boiler Operation) : Matriculation/ITI with having 1st Class/ 2nd Class Certificate of Boiler Attendant Competency for applying online form for SAIL Attendant Recruitment 2017. Operator Trainee Jobs : Candidates should have done Matriculation & 03 years full time Diploma in Engineering from recognized Institute for Bhilai Steel Plant Operator Jobs. Mining Mate Post : Matriculation with valid Mining Mate’s Certificate for this vacancy. Age Limit For Bhilai Steel Plant OCT Jobs 2017 : Age of the candidates for SAIL Recruitment 2017 should be 18 years & Maximum age must be 28 years for Bhilai Steel Plant Jobs 2017. Age relaxation will applicable as per department norms for SAIL Bhilai Vacancy 2017. For Attendant & Mining Mate Post : Candidates will paid pay band Rs. 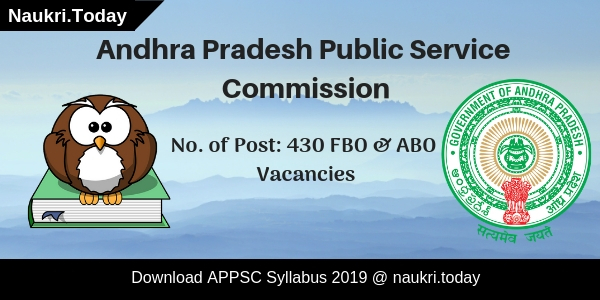 15830 – 3% – 22150/- for these vacancy under S-1 Grade. For Operator (Technician) Post : Rs. 16,800 – 3% – 24110/- will paid for SAIL Operator Jobs 2017. Application Fee For Bhilai SAIL Operator Vacancy 2017 : General/OBC Category candidates who are going to fill online form for SAIL OCT Jobs should paid Rs. 250/- & For remaining Vacancy candidates must paid Rs. 150/- for filling Bhilai Steel Plant Online Form. SC/ST/PH category candidates need not to pay any application fee for SAIL Recruitment 2017. SAIL Bhilai OCT Vacancy 2017 Selection Method : Selection of the candidates for SAIL Recruitment 2017 will based on given factor. Final Selection of the candidates will based on Weightage of Marks. For more details about Examination Procedure you can check the given below details. First of all eligible candidates will call for Written Examination. Exam will contain Objective Type Question. All the information about Written exam will given on your SAIL Admit Card 2017. Candidates should get minimum 50 % marks (40 % for SC/ST/PH/OBC category) for qualifying the written examination. The Selection of the candidates will purely based on Weightage of marks in written exam. After that Selected candidates appear in Skill Test/ Driving Test. which is qualifying in nature. After Skill Test candidates appointing on respective Trainee Post. For more details about Bhilai Steel Plant OCT Jobs like Admit Card & Syllabus you can check from here. Keep in touch with this page for more updates. How I Fill Online Form for Bhilai SAIL Recruitment 2017/ SAIL Bhilai Recruitment 2017 ? Candidates log on to the official website www.sail.co.in. Now click on Career Section >> Bhilai Steel Plant Link. Click on Official SAIL Bhilai Vacancy Notification link. Fill all the details in online form without any mistake,. Recheck all details before submission of online form. Deposit examination fee & click on submit button. Conclusion: Bhilai SAIL Recruitment 2017 For 96 ACT OCT & Other Jobs. Candidates can apply application form online for SAIL OCT Recruitment 2017 on or before the last date 16.03.2017.